Frankfurt, Germany turned out to be the Mecca of tattoo fanatics at the city’s 27th tattoo convention dated 27th April, 2008. Frankfurt’s tatoo convention is known to be one of the world’s largest tattoo shows. Please go through the snaps; this won’t require furthur elaboration. 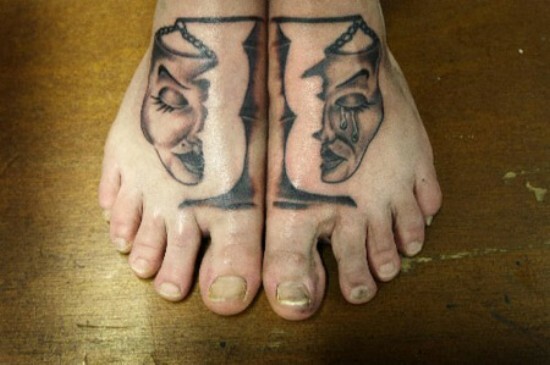 The first image shows legs of a woman that display the emotion masks tied together to a balance; perhaps she wants to equalise the happy and sad emotions in her life. The second picture shows a child gazing at a man-turned-animal who has inked whole of his chest, stomach, abdomen and biceps. I wonder why kids are let in such places?